Getting ready to come in and help with today’s Undergraduate Open Day today at Cardiff University, I checked Twitter this morning and found a number of tweets about a shocking news story that I feel obliged to comment on. The astronomy community in the United Kingdom is fairly small and relatively close-knit, which makes this case especially troubling, but it does have far wider ramifications in the University sector and beyond. I don’t usually link to stories in the Daily Mail, but you can find the item here. The report relates to a libel action taken by Astronomy Professor Mike Bode of Liverpool John Moores University against Professor Carole Mundell, a former employee of that institution who is now Head of the Astrophysics group at the University of Bath. Carole Mundell is a highly regarded extragalactic observational astronomer who works primarily on gamma-ray bursters and their implications for cosmology. 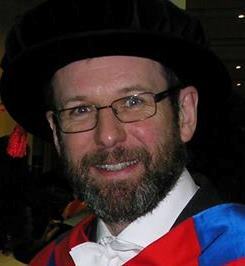 The case revolves around allegations of sexual harassment (and, according to the Daily Mail, sexual assault) made against another former employee of Liverpool John Moores, Dr Chris Simpson, by a female student, and the allegation by Professor Mundell that Professor Bode wrote a misleading reference on behalf of Dr Simpson that omitted mention of the pending allegations and allowed him to move to a post in South Africa before the investigations into them could be concluded. Professsor Bode claimed that this allegation was defamatory and sued Professor Mundell for libel and slander. The Daily Mail story is not very illuminating as to the substance of the litigation but a full account of the case of Bode versus Mundell can be found here. In fact the case did not go to a full trial hearing, but summarily dismissed before getting that far on the grounds that it would certainly fail; you can find more information about the judgment at the above link. I had no idea any of this was going on until this morning. The story left me shocked, angry and dismayed but also full of admiration for Carole Mundell’s courage and determination in fighting this case. I think I’ll refrain from commenting further on the conduct of Mike Bode and Chris Simpson, or indeed that of Liverpool John Moores University, except to say that I hope this affair does not end with this failed action and that wider lessons can be learned from what happened in this case. I suspect that Liverpool John Moores is going to have some seriously bad publicity about this, but of greater concern to the wider community is the apparent failure of process in dealing with the allegations about Chris Simpson. Note added in Clarification (29/10/2016). I am not making any statement here about whether I think the allegations about Dr Simpson were true or false or what the outcome of the disciplinary process might have been. I have absolutely no idea about that. What I do know (as it is in the public domain) is that the investigation lasted five months and did not reach a conclusion. That, to me, indicates a failure of process. Coincidentally, yesterday saw the publication of a report by the Universities UK Task Force examining violence against women, harassment and hate crime affecting university students. The document includes a number of rather harrowing case studies that make for difficult reading, but it’s an important document. A new set of guidelines has been issued relating to how to handle allegations that involve behaviour that may be criminal (such as sexual assault). I urge anyone working in the HE sector (or pretty much anywhere else for that matter) to read the recommendations and to act on them. I have no idea whether sexual harassment is an increasing problem on campus or what we are seeing is increased reporting, but it is clear that this is a serious problem in the UK’s universities. On paper, the policies and procedures universities already have in place for should be able to deal with many of the issues raised in the Task Force report, but there seems to me to be an individual and perhaps even institutional reluctance to follow these procedures properly. The fear of reputational damage seems to be standing in the way of the genuine cultural change that we need. Bode versus Mundell may well prove to be a landmark case that makes the astronomy community come to terms with the sexual harassment going on in its midst. As much I’d like to be proved wrong, however, I don’t think it is likely to be the last scandal that will come to light. Carole Mundell’s courage may well lead to more people coming forward, and perhaps changes in practice will mean they are pursued more vigorously. Cultural transformation may prove to be a painful process, but it will prove to have been worth it.